When buying a home, many people ask, Do I need a home inspection, and what is a home inspection anyway? The answer is yes, you need one, and a home inspection is very much like a physical for your home. 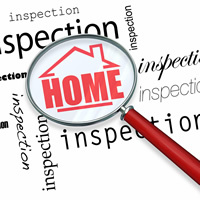 Five Star Home Inspections of Charlotte will perform a thorough check of the subject property. At Five Star Home Inspection, we look for cracks, leaks and other abnormalities that could potentially cause short or long term damage to the home and property you wish to purchase. Just like when you go to your family physician for a periodic and routine checkup, you see a qualified Doctor. At Five Star Home Inspections of Charlotte, a qualified and experienced home inspector, performs an intensive check of the property to ensure that the house, from foundation to roof, and all the internal systems are functioning at their best. Five Star Home Inspection has options for additional packages that can be added to the inspection. When the inspection is complete, we produce, for you, a comprehensive report on existing conditions within your home, that could point out potential costly repairs. The purchase of a home is most likely the largest investment you will make in your lifetime, so protect your investment and your peace of mind with a home inspection from Five Star Home Inspections Inc.
Before you sign, have peace of mind with a Five Star Home Inspection. Contact Us Today!